The reduction of energy consumption in buildings requires identification of energy consumers in buildings and manufacturing locations without interfering with existing electric infrastructure. We provide insight on our in-house monitoring system based on an OpenMTC installation with 15 gateways and 30 sensors delivering information about environmental data as energy usage, light intensity, temperature, humidity and movement. This non-invasive sensing provides a first step into optimizing the energy consumption. 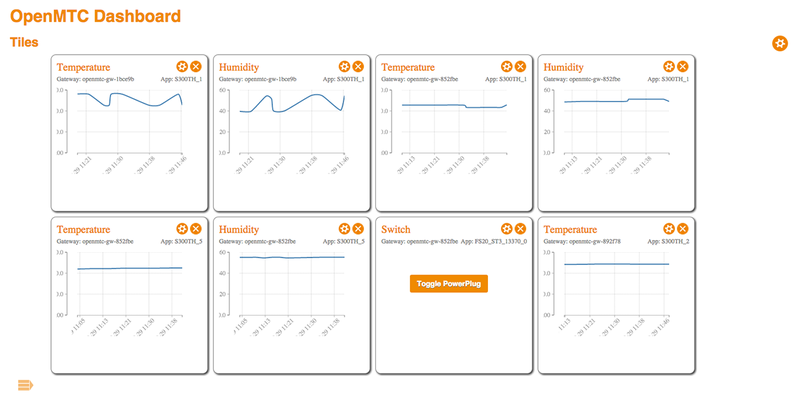 The OpenMTC dashboard allows to browse available gateways and to discover all attached sensors and the visualization of their data. This data is provided to a Big Data platform that is capable of correlating the measured information with e.g., weather data and forecasts.